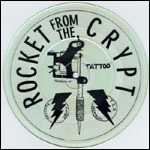 Back in 1995, the few, the proud, and the brave (those with RFTC tattoos) received this token of gratitude for their years of service in the army, fully customized with their name scratched into the vinyl. One-sided silk screen on clear vinyl. 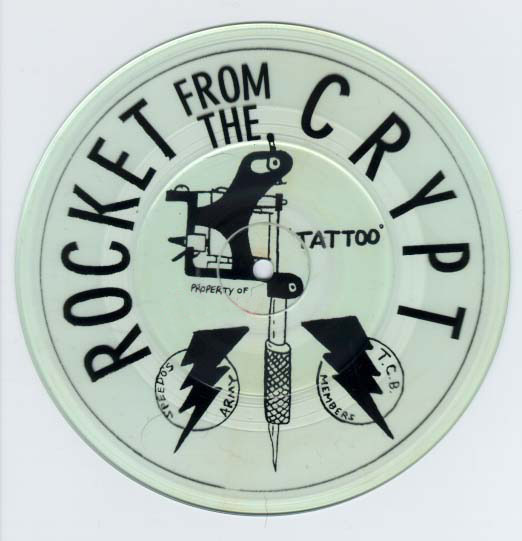 Takin' Care Of Business, Rocket From The Crypt style.